Come enjoy art work created by your community! Art to be displayed from students of the Middletown Area School District, Seven Sorrows and Penn State along with community portraits taken at National Night Out. Portraits will be displayed at the Middletown Community Art Show on 9/22/18 at the MCSO building at 60 W Emaus St, from 1-4 pm. 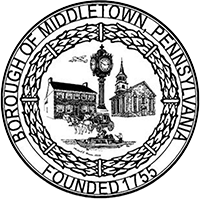 They will also be featured on the Middletown Human Relations Commission’s Facebook page https://www.facebook.com/MiddletownPAHRC.